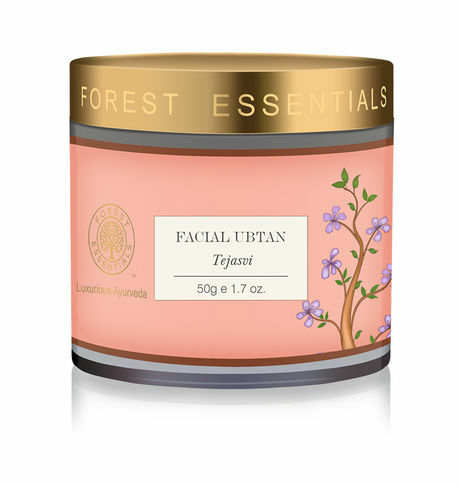 A highly nourishing blend of potent herbs, Sandalwood, full cream milk and Saffron for hydrated smooth skin. Its regular usage prevents the occurrence of premature fine lines and keeps the skin hydrated and moist. The natural ingredients also improve skin texture and removes tan. This Tejasvi Milk Ubtan contains high fat and fresh Milk, by its nourishing, refreshing & refining actions, helps in restoring the natural glow of the complexion. Its regular usage prevents the occurrence of premature fine lines and keeps the skin hydrated and moist. The natural ingredients of ﾑUbtanﾒ also improves skin texture and removes tan.